Those of you who have been reading the blog for a while, know I moved up to Lake Tahoe last year. It is one of the most beautiful places on Earth and I love it (except maybe for the 30+ feet of snow last winter). When I’m not knitting, you can find me taking photos on the lake. This also means that Jimmy Beans Wool in Reno is now my local yarn shop. I’ve been a customer of Jimmy Beans for fifteen years. First as a visitor to their first store in Truckee then as an online customer and occasional visitor in Reno. Living this close to the store led to exponentially increasing stash and lots of trips to show the staff what I had just finished. This in turn led to …. New! Knitting Nuances Classes at Jimmy Beans! I couldn’t be more excited for a number of reasons. 1. Pure Fun: Hanging out at this LYS is a dream. They moved and expanded their retail space at the beginning of the year and it is magnificent. The merchandise displays are creative and fun. The main area has a number of specialty rooms as offshoots. The first time I heard them refer to the “International Hand Dyed Room” I started to drool. 2. Meeting Knitters: The most important reason I’m thrilled is face to face interaction with knitters. I’ve already attended several of their bigger events including the San Francisco Bus Tour to teach quick techniques and the feedback was very helpful. This will give me ideas on how to improve the blog, the patterns and tutorials for everyone, including my blog readers who may be far far away. 3. Developing Classes: First up, the Introduction to the Showy Decrease class. We will introduce a simple swatch and move into all the different ways to use this fun (and easy) technique. There is a dedicated classroom I’ve staged with samples and class materials. The swatches in the Intro to Showy Decrease class demonstrate diagonal lines, vertical lines, updating stitch patterns, deep ribs, faux cables and Showy Garter lines. These will all be in the online version I will be working on all fall so stay tuned. First store class is this Tuesday, October 10th. 4. Re-knitting Projects: I have been carefully rolling out projects over that past few years based on the “Nuances” they include. However, there are certainly ideas that came later that are perfect for earlier projects. Knitting new samples for the store (I have never knit as much as I have the past month!) means rethinking the design and updating the pattern. 5. More Knitting = More Creativity: As I just mentioned, I have been knitting up a storm. My brain is never still when I knit. I’m always taking notes, thinking of tips and laying out the pattern in my mind. It’s also when many of my new ideas take shape. It would be easy to design and knit all the time but that would mean I could never share anything with you, so I gift myself periods of creativity. There are times when I don’t blog for health reasons (Lyme), but this time I am very please to report that I’ve been working on several new projects and Nuances. Next, my new favorite shawl (I know, every new project is my favorite). Here’s a sneak peek. The pattern is almost done. It has to be, I just helped a Jimmy Beans customer buy yarn for four projects to knit as her Christmas gifts. This will be the first project class starting in two weeks. There are more reasons to visit Reno than you think. In fact the majority of knitters who come to the store are visitors. Reno is one of the fastest growing job areas with new companies like Tesla, Apple and Google. It is also home to many large conventions, casinos and festivals like Burning Man and the Great Reno Balloon Race. And of course, let’s not forget Lake Tahoe which, in spite of the world-class skiing, is actually more of a summer area. For more information about classes, schedules and sign up click on Classes in the sidebar. If you are a blog reader and in the area, let me know and I will try to be in the store to give you a tour. Private classes are always available too. Pick any project and I’ll help get you started. You can email me at laura@knittingnuances.com. Congratulations Laura! I’ll be sure to visit if I’m ever in Reno. Congratulations Laura!! 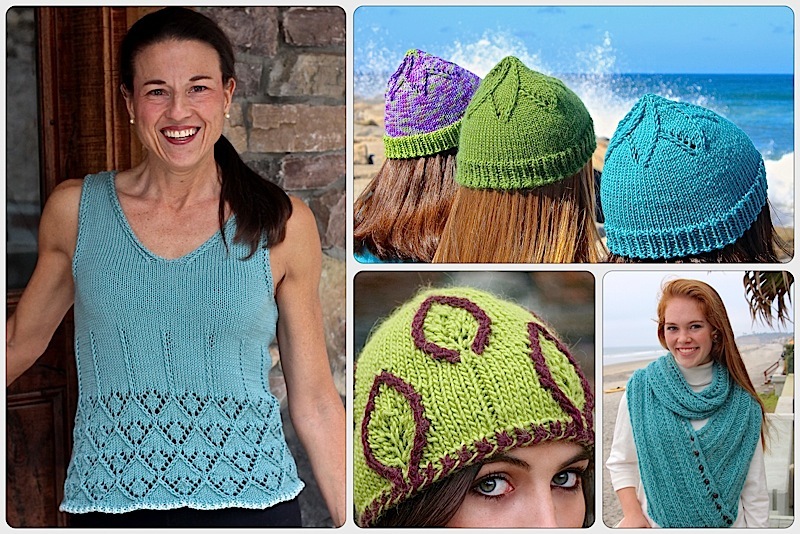 I have enjoyed following your Knitting Nuances from the beginning on Ravelry. Wishing you great success in your new adventure. Thanks Val and Carlene! I’m already having fun and being inspired by the new yarns. This entry was posted on October 7, 2017 by Laura Cunitz in General, Nuances, Yarn & Yarn Shops and tagged JimmyBeansWool, Yarn Shops.